Boys Life - The magazine's web site Fun-filled site for Boy Scouts! Philmont Scout Reservation High adventure at it's FINEST! Northern Tier The BSA's Gateway to high adventure in the Great Northwoods! Introduction to Merit Badges General information about Merit Badges and how to earn them. Merit Badges Pamphlets and Requirements Information about the current Merit Badge pamphlets, revision dates, and Merit Badge requirements is provided here. Worksheets for Merit Badges Here is your source for worksheets for Merit Badges. Worksheets are a valuable tool for working through the requirements for earning your badges. Wikipedia for Merit Badges Another good source for Merit Badge information. Eagle Scout paperwork study guide This is a good resource for explaining the Eagle Rank process and paperwork. Eagle Scout Leadership Service Project Workbook and Eagle Application This is the online version of the Life to Eagle packet. 2019 BSA Guide to Advancement This is the definitive reference to all things related to scouting advancement. Boy Scout Trail - Recipes Fun & different recipes from www.boyscouttrail.com. Ol' Buffalo Camp Cook Good Dutch Oven cooking reference and cookbook. Lemon-Lime Soda Apple Dumplings A Troop 395 tested recipe - source: Scouting magazine. Black Forest Cobbler Recipe A Troop 395 tested recipe. Chicken Dutchiladas Recipe A Troop 395 tested recipe - source: Scouting magazine. Easy Peach Cobbler Recipe A Troop 395 tested recipe. Spicy Tortilla Soup source: Scouting magazine. Three Rivers Muddy Delight source: Scouting magazine. Scouting the Net GREAT SITE! Created and maintained by a fellow Quapaw Area Scouter. 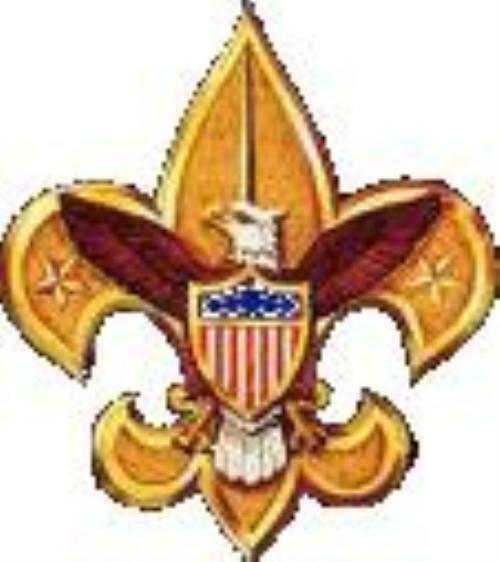 US Scouting Service Project Need to know? What to know? Here is a good place to start. Wood Badge Homepage Everything you ever wanted to know about Wood Badge. Burns Park Boy Scout Trails at Burns Park. Ouachita National Recreation Trail Free Maps to download. Lake Ouachita Vista Trail Free Maps to download. Great Information here. Lake Sylvia Free Maps to download. Great Information here. Pinnacle Mountain State Park Hiking trail maps at PMSP. Ouachita & Ozark Trail Maps Hiking trail maps in the hills. BSA Online Training Fast Start, Safety Afloat, Safe Swim Defense, Troop Committee Challenge, and Youth Protection Training, are available here. Complete them any time, from the comfort of your own home! BSA supplemental training resources An excellent source for Board of Review training, Merit Badge Counselor Instructors Guide, Supporting Scouts with AD/HD presentation, and more! Buffalo River Water Levels An interactive resource displaying recommended floating conditions and water levels for the Buffalo National River. National Weather Service Current Water NOAA Hydrological Statement. Water Resources of Arkansas Depth and water flow for Arkansas rivers. United States Geological Service USGS real-time water data for Arkansas - graphical format. United States Geological Service USGS real-time water data for Arkansas - tabular format.